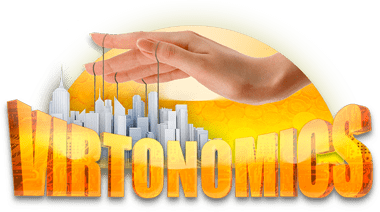 Virtonomics economic games are a unique series of entertaining and educational full-scale business simulators for macro and micro economics, company management at the level of strategy and tactics, urban planning, politics and public administration, as well as a multiplayer game with PvP elements at the intersection of creative economic strategy and destructive corporate wars, confrontation between the secret services and the mafia. In the Virtonomics series of games, each person will find a game to his taste, according to his temperament, according to his needs. Developed to be scalable, Virtonomics has attracted over 2 million of unique users from all over the world. Player’s success in Virtonomics depends on the knowledge of micro and macroeconomics. This is why, the unique user-base consists of business savvy people that are keen to help each other. HMatias: Great simulation game. One of the best you can find online where you compete with real players and have to make hard decisions, just like in real life. Matheus Assis: One of the best business simulation games available. Complex production chain, which is great. You can work retail, manufacturing or services. Regular realms run one turn a day, so your life doesn’t have to revolve around the game if you don’t want to. But even so, there are plenty of stuff to do and data to analyze for your life to revolve around the game if you want to. Jase Boom: Good game to get a basic taste of business. This is a great business simulator to play when you want to have a basic taste of growing a business itself. The community could be a lot more active and engaging but nonetheless it’s still a good game to play. And it’s real time so you play it whenever you want and it’ll keep running in the background.